The history of tea in Japan began 1200 years ago when monk scholars- Saicho and Kukai returned from China with tea seeds and started to cultivate tea plants in Japan. Four centuries later in the 16th century, Tea Master Sen no Rikyu established Chanoyu or the Way of Tea, a formalized tea drinking culture. This practice involved a ceremonial preparation and presentation of Matcha, powdered green tea. 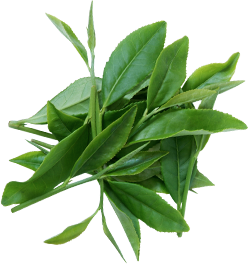 Meanwhile, Sencha- green tea that is extracted and brewed from green tea leaves was developed. This modern variety gained widespread popularity in traditional Japanese homes and today remains a mainstay of the country’s food and tea culture. Approximately 400 years following Sen no Rikyu’s introduction of Chanoyu, a significant innovation took place in the history of Japanese tea. 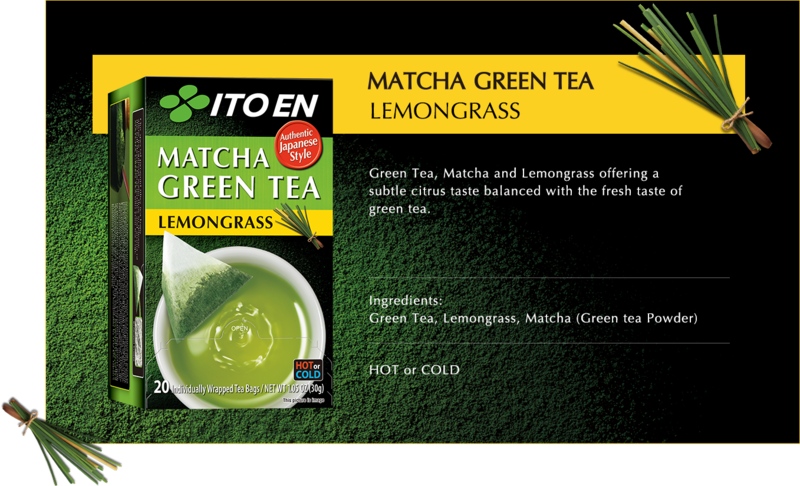 In 1985, ITO EN was the first in the world to take Sencha green tea and successfully introduce a global tea beverage that maintained its freshness and taste. 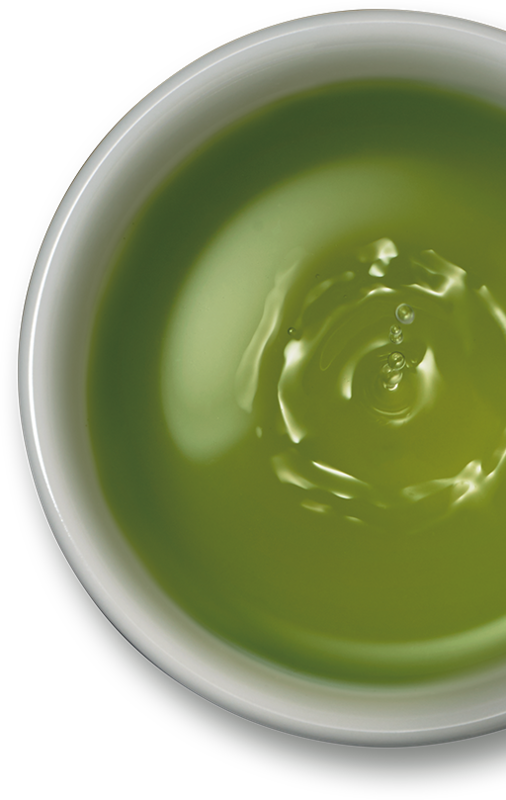 This was a major breakthrough as green tea was known to be susceptible to losing its fresh quality and flavor. 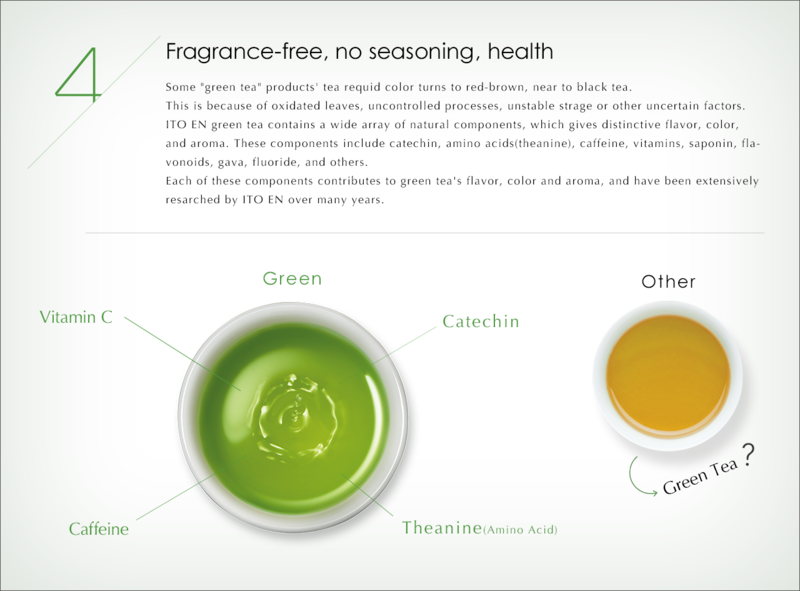 With this modern innovation and advanced methods, delicious Sencha can be enjoyed anytime, anywhere. ITO EN will respond to the evolving times of the world and strive for ongoing innovation in tea. 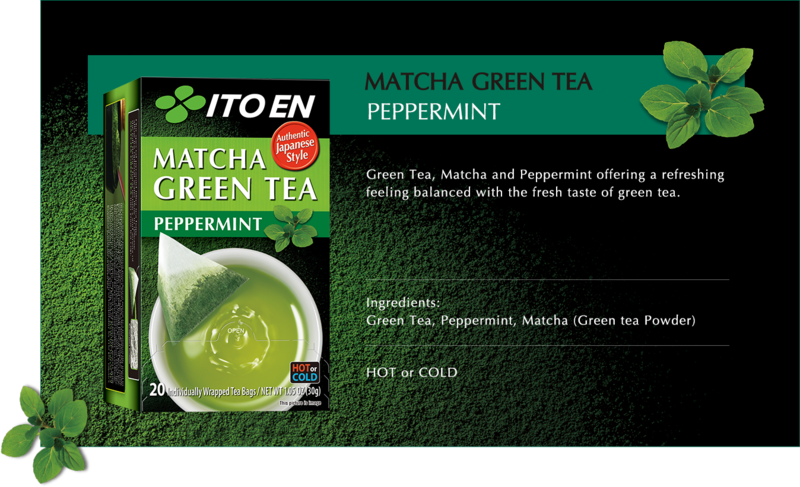 Looking ahead, ITO EN is committed to bringing new tea lifestyles and value to customers, respecting tradition and cutting-edge advancements. This is our mission at ITO EN. 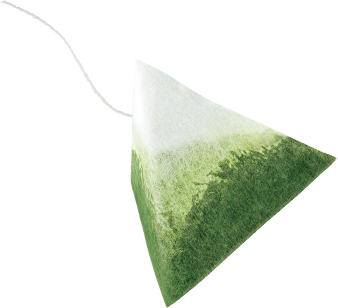 We developed and sold the first vacuum-sealed packages of loose tea leaves in Japan. With expand of supermarket stores in Japan, these packages began to spread rapidly among households. An agreement was signed with China’s first foreign trade enterprise, China TUHSU to become the first company to import Oolong Tea into Japan. The following year, we launched the world’s first canned Oolong Tea. This success created a new ready-to-drink beverage market of unsweetened teas. Our unique method of deoxidation “T-N (Tea and Natural) Blow” helped launch the first canned green tea, long regarded as technologically impossible. Achieved an improved T-N Blow method by removing the oxygen during the filling and capping of the production process. 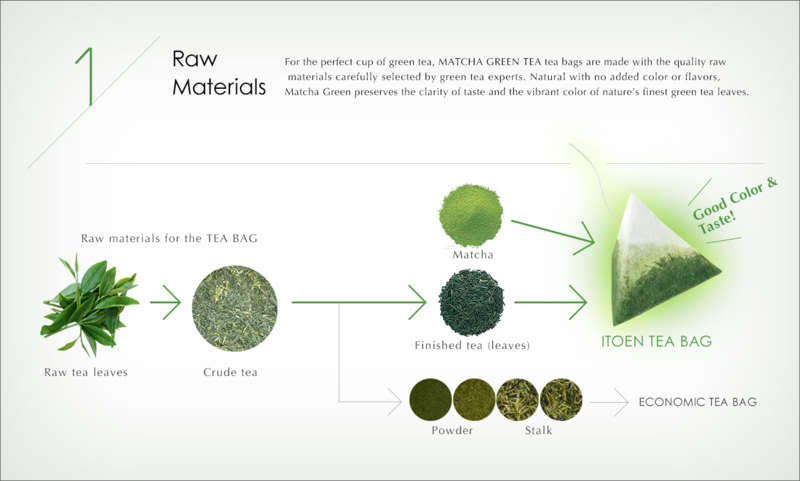 The world’s first PET bottle of a natural unsweetened green tea was born using our “Natural-Clear Production Method”. 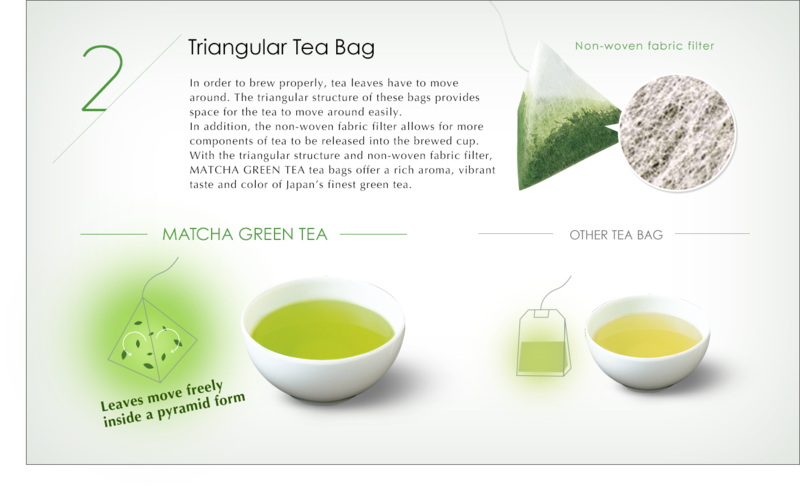 This fine micro-filtration method preserved the clarity of the green tea while preventing the formation of tea sediment. This proprietary method received a patent in 1996. The very first heatable PET bottle was launched, being the first in the industry. This innovation allowed hot bottled green tea to be enjoyed in the winter months. The five-layer-bottle protected the delicate green tea from oxidizing while maintaining the integrity of taste. ITO EN AUSTRALIA PTY. LIMITED (Victoria, Australia) was established and the start of tea cultivation and development of a tea leaf processing plant. 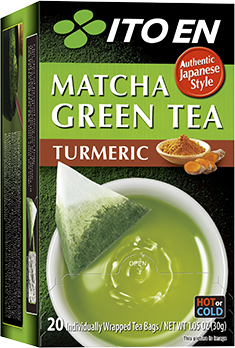 Catechin Green Tea was recognized in Japan with two health claims of “reducing body fat” and “lowering cholesterol levels”. 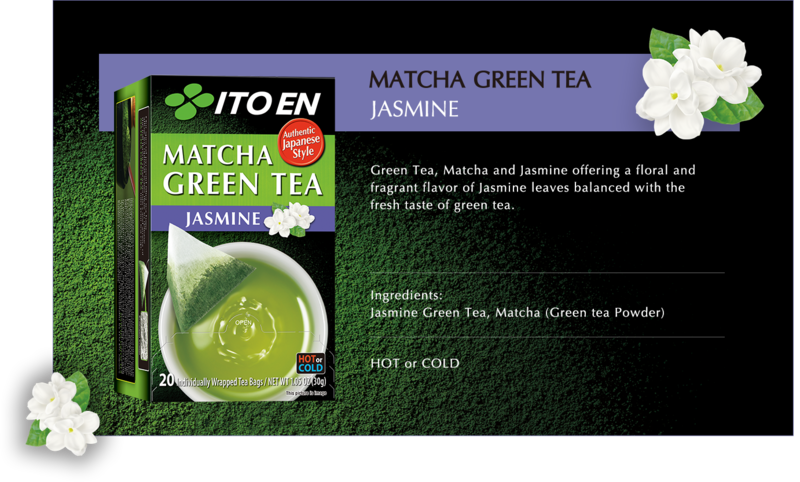 An exclusive ITO EN global brand, “MATCHA GREEN TEA” is launched for the worldwide global market. 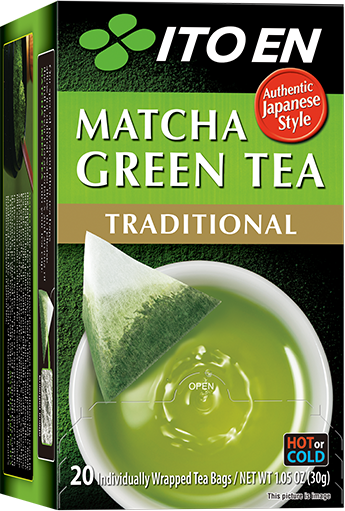 MATCHA GREEN TEA, a teabag collection of traditional Japanese green teas blended with unique natural ingredients such as Jasmine, Lemongrass and Peppermint. The subtle sweetness balanced with the pleasantly bitter taste of Japanese matcha powder offers a delightful and refined experience. A tea experience only ITO EN can provide. 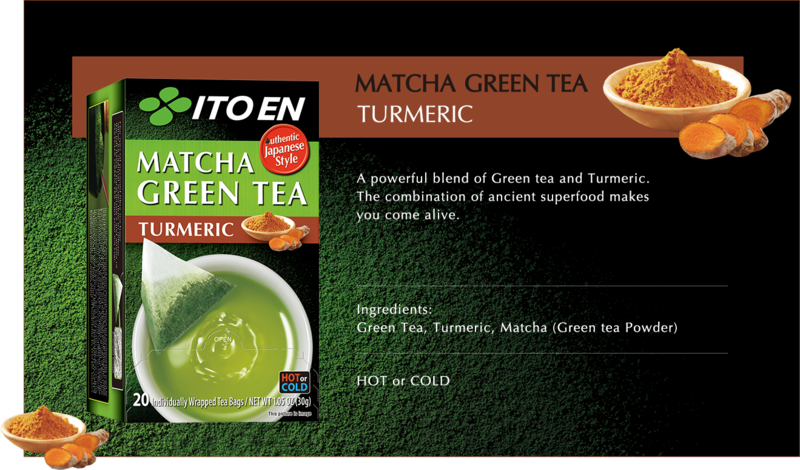 Enjoy the delicious taste and health benefits of high-quality Japanese green tea, derived from nature. A lifestyle of enjoyment, peace and tranquility of mind. 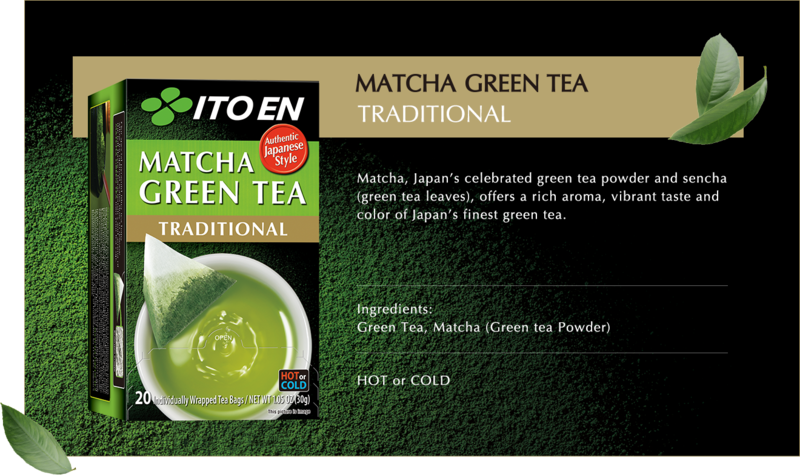 Exclusively created by ITO EN, the experts of Japanese tea. The MATCHA GREEN TEA Collection offers traditional flavors of Matcha(powdered green tea) and Sencha(whole green tea leaves) along with unique complementary ingredients such as Jasmine, Lemongrass and Peppermint. 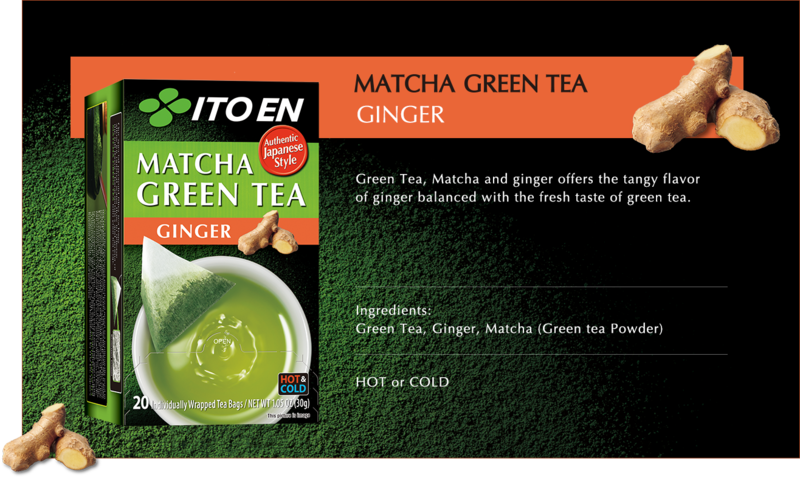 All designed to enhance the delicious taste of Japanese tea and its’ healthy benefits. No added color & articficial flavor. Performs vibrant green tea color with subtle sweetness. The powder is soluble for you to make easily a Matcha latte, and Matcha confectionaries. Matcha, ceremonial powder, and Sencha, the most popular tea in Japan makes beautiful harmony. 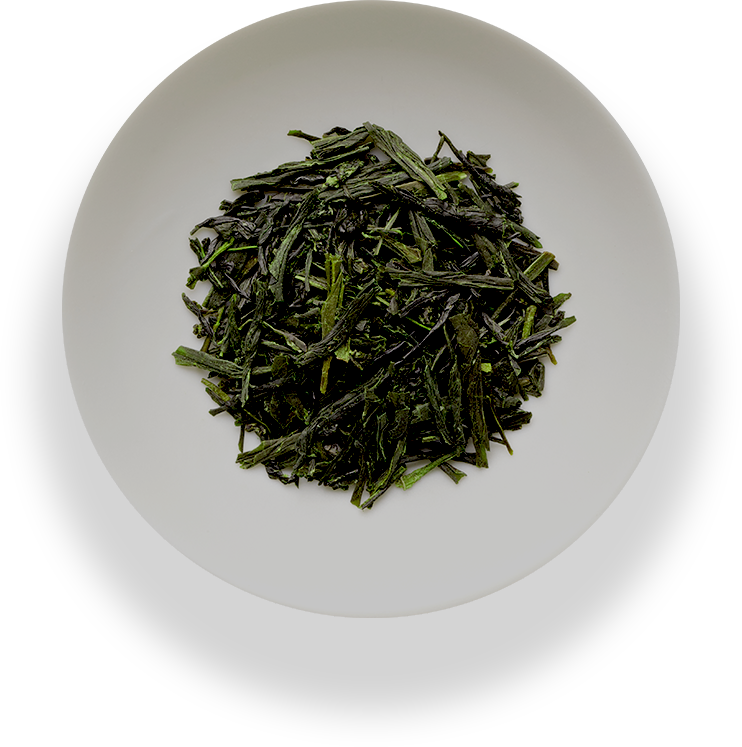 Rich and mellow taste and vibrant green color provide you special tea time. The heady aroma of jasumine blossoms mingling with green tea. Green tea and aromatic lemongrass create relaxation and rejuvenation with refreshment. Peppermint's fresh aroma and tasty matcha green tea gives you a great refreshment tea time. Chamomile aroma and vibrant green tea color provides you feel of calm and relaxation. 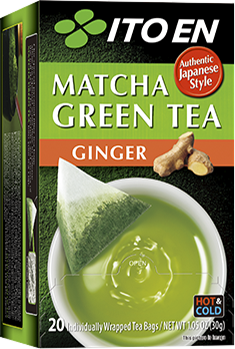 Fragrant ginger flavor spices up a refreshment onto the beautiful taste of matcha green tea. Enjoy vibrant green tea color with subtle sweetness. Soluble powder is convenient for making Matcha latte, and Matcha confectionaries. 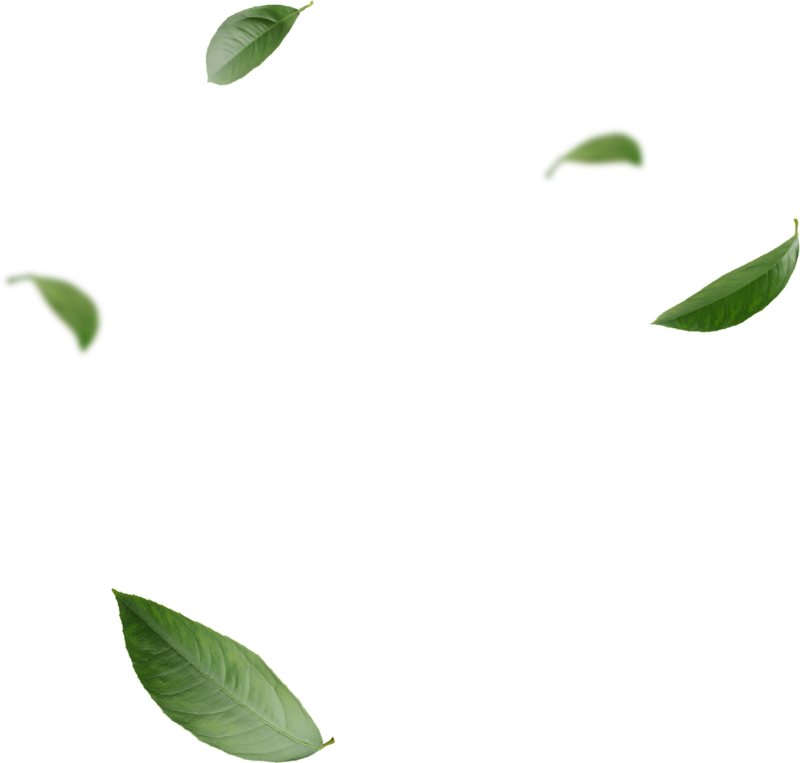 We expertly process our own tea leaves to attain excellent taste and to preserve the beautiful green hue of the leaves. 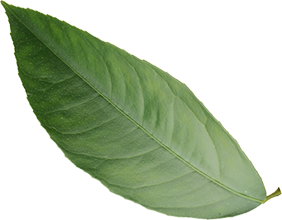 Our tea bag design allows the leaves to expand to ensure clarity of taste and color. 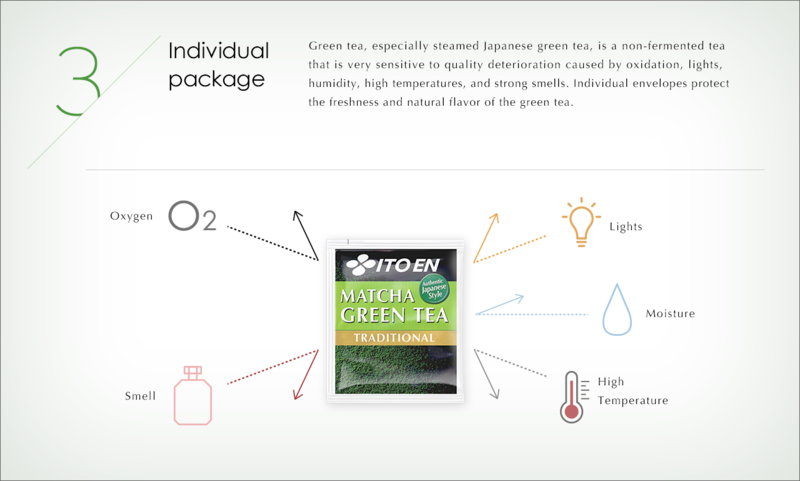 To protect the tea from oxygen, moisture and ultraviolet light, each tea bag is individually packaged in a innovative shield. 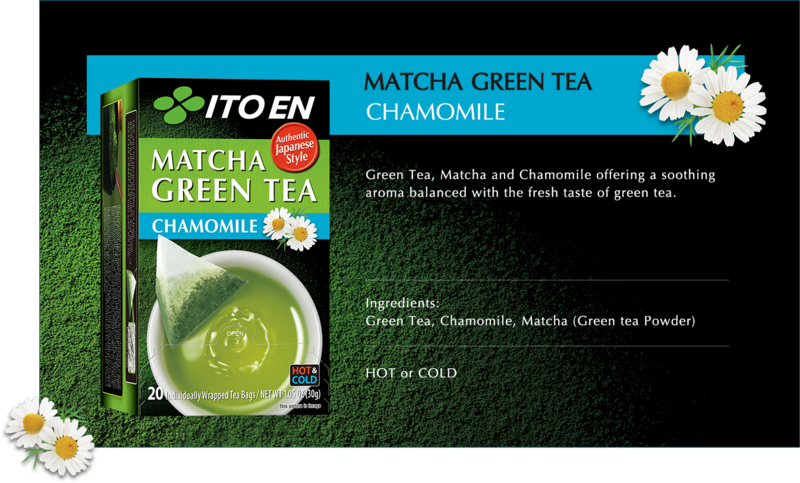 Fragrance free with no added colorings, enjoy the true green color and purity of taste of Japanese green tea. ITO EN （North America） INC. Copyright © All Rights Reserved. ITO EN. LTD.